Matthew is a Vernon native who has been with Crystal Springs Resort for over 8 years. Matthew has an appreciation for hard work and passion and is thankful for working in kitchens and attributes it to keeping him on the right path in life. 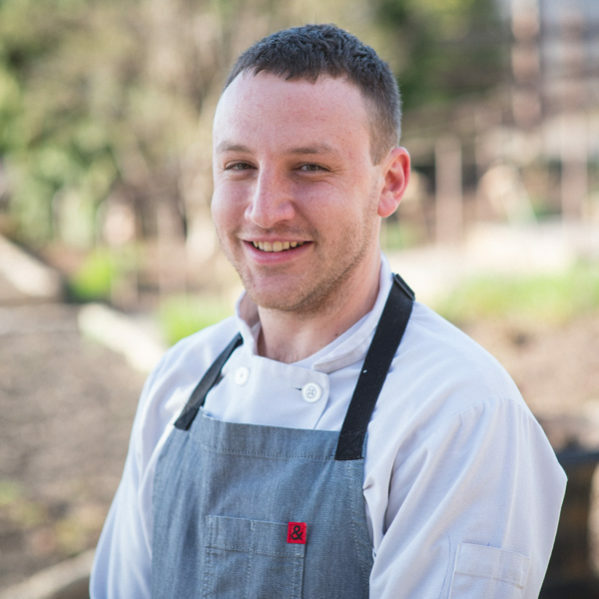 Starting as a line cook in 2011 within Crystal Springs, he has worked his way up trying to master each station and opportunity that was presented to him for his personal growth and professional development. It wasn’t until becoming the CDC for Restaurant Latour under Resort Executive Chef Aishling Stevens that he really started to demonstrate his true leadership & overall management skills. Matthew brings true love for each and every ingredient and it shows in his work. He is an avid mushroom forager and hiker and when he is not in the kitchen he can be found hiking in the woods or hanging with his 11 year old son.